What Are Your Employees’ Commutes Costing You? Home >> Blog >> What Are Your Employees’ Commutes Costing You? 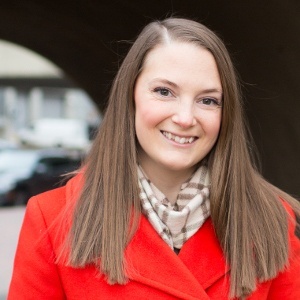 May 21, 2018 Marie Cox is a Business Development Manager at Arlington Transportation Partners and has been living car-free since 2010. While she enjoys walking or running to work most days, she also takes advantage of a leisurely commute on the bus every now and then. ATP Takeaway: You can see when an employee’s commute causes tardiness or a bad attitude, but what you don’t see is what their trip in traffic is costing your company. 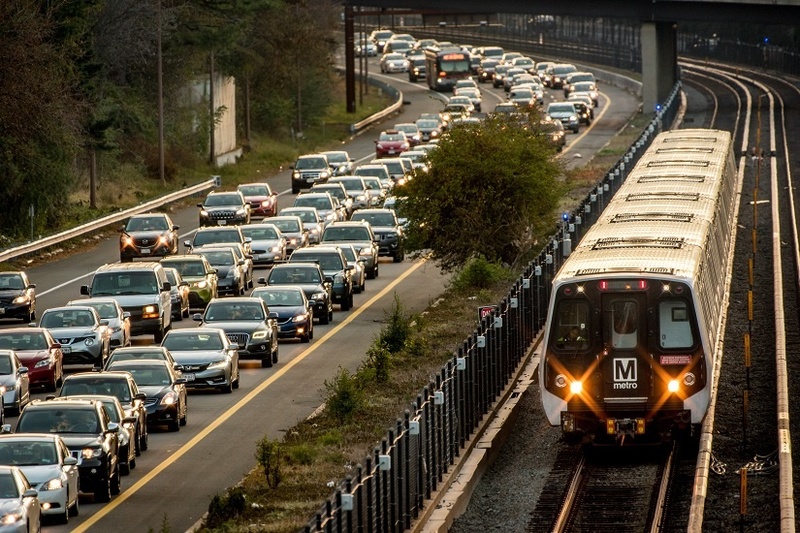 It’s no secret that DC area commuters suffer through lengthy commutes to get to work. In fact, the region is consistently ranked a top city for traffic congestion where the average employee spends 40 minutes to commute over 17 miles one-way. What you may not know is how your employee—who just sat in bumper-to-bumper traffic to get to work by 9:00 a.m.—is affecting your company’s bottom line. The most immediate cost you may see from an employee that drives to work is the value of the parking space their vehicle occupies, especially if your company subsidizes parking. Using data from ParkingSpotter.com, the average monthly parking fee in Rosslyn is more than $130. Businesses providing free parking are committed to this fixed rate, regardless of whether your employee travels one mile or 50 miles to reach the office. By comparison, if your company offered the same benefit for transit, one employee commuting on the local bus would only cost $88 per month; a savings of $42 per month for every employee choosing this option over driving. The second, slightly less obvious cost you see is in employee health care. The average total cost of health care benefits is expected to climb to $14,156 per employee in 2018, and businesses pay an average of 70% of the cost. Commuting more than 10 miles each way has been linked to high blood sugar and cholesterol—placing employees at risk of pre-diabetes, diabetes, and heart disease. Additionally, longer commutes raise blood pressure, cause back and neck pain, and reduce cardiovascular fitness. Employees stuck in traffic may be passing the financial burden onto their employers in the form of expenses related to doctor visits and prescription medication. The last way your employees’ commute may be costing you is through lost productivity. Research from the Urban Mobility Report indicates that commuting costs America $90 billion dollars per year in lost productivity. Furthermore, if an employee becomes disengaged in their work, this costs your business 34% of their salary, and you can add 20% to 200% of the employee’s salary to replace them if they resign due to commuting stress. To curb these expenses, businesses can develop commuter programs and benefits that incentivize employees to use additional modes of transportation, which can mitigate the negative effects of commuting. Such programs may include flexible work schedules, pre-tax or subsidized benefits for transit and vanpool, financial incentives for employees who bike or walk to work, and/or telework, all of which can help increase employee productivity, engagement, and retention while also decreasing health care costs. If you’re ready to put money back in your company’s pocket and invest in your employees, Arlington Transportation Partners (ATP) offers complimentary, customized assistance on developing transportation related business strategies that fit your needs—implementing new programs and promoting benefits/amenities directly to your employee base. Take the first step today by reaching out to us to learn more about the advantages of creating a mobility program at your workplace and we’ll talk through a plan that works for your business.